6:45 pm – 7:05 pm, USGS and NYC DEP: What are the impacts to the condition of the water? Shawn C. Fisher, Christopher E Schubert, Stephen A Terracciano, Read their preliminary report. 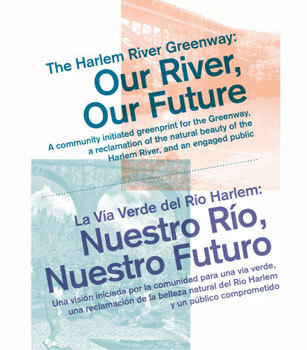 7:35 pm – 7:55 pm, Green Infrastructure on the Harlem River: Pier 5 Stormwater Capture from the elevated I-87 highway. Susannah Drake of dlandstudio, a BCEQ project funded by the WCS-NOAA through Congressmen Serrano’s efforts.